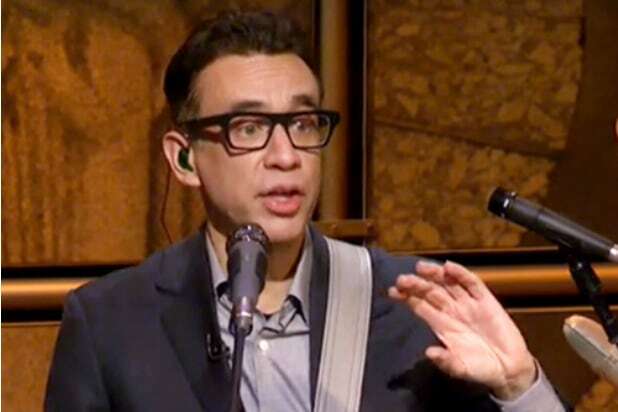 Fred Armisen will be back as Seth Meyers‘ “Late Night” bandleader tonight, following a busy hiatus. Don’t expect his chops to be rusty, however. As confident as Armisen is in writing and playing the actual music, he’s just as confident working with his hand-picked “Late Night” 8G Band-mates. Armisen, whose “Documentary Now!” (also with Meyers) returns Sept. 14 on IFC, is busy even beyond those two shows — there’s “Portlandia,” too, of course. With so many balls in the air, the “Saturday Night Live” alum tries to live in the now, and schedule his dates in the same exact way. “Late Night With Seth Meyers” airs weeknights beginning at 12:35 a.m. on NBC.